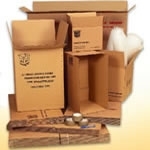 Removal Boxes Storage Boxes Packing Boxes and Packaging delivered free within 24 hrs. Copyright © 2013 A1 House Moving Boxes Ltd. All Rights Reserved. Built with Volusion.